We have the pleasure to be recommenced by the awesome travel blog http://partiumundo.com! We had the guys here with us some days during the winter, so they had the chance to see Athens during Winter time, which is as great as summer time! Here’s the link for their post : http://bit.ly/1BbSCQZ! Scroll through their great posts for travel inspiration! 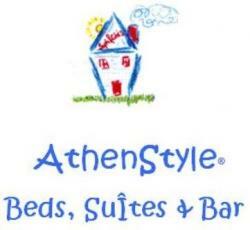 Whether you are thinking of visiting Athens before summer hits, or if you are a summer fanatic and want to combine a visit to Athens with a visit to one of our islands book your stay at http://www.athenstyle.com and we guarantee you you’ll have a great time! From the 9th until the 14th of March you will have the chance to see the new exhibition created by Robert Wilson. This time he will display his work in the Bernier/Eliades galery, which consist of video portraits of Lady Gaga posing inspired by famous paintings. Lady Gaga’s portraits were filmed in October 2013 in London and they premiered in the Louvre in the November as part of Robert Willson’s exhibition called Living Rooms. His main inspiration are three classical masterpieces which belong to Louvre’s permanent collection: Mademoiselle Caroline Rivière by Jean-Auguste Dominique Ingres (1806), The Death of Marat by Jacques Louis David (1793) and The Head of Saint John the Baptist on a Charger by Andrea Solario (1507). Those of you who travel a lot and pack light, you probably know that most of the times you have to fit everything in your medium-size hand bag or your laptop or your tablet case, including devices like your phone, your tablet your laptop your music player or your camera. And here’s comes the big problem what to do when you need to fit in as well your bottle of water? We’ve come across Memobottle which solves exactly that problem of not having space for a classic bottle and the fear of your bottle opening inside your bag.The Memobottle’s design is meant to fit in nicely with all of the other rectangular knick-knacks you have in your bag, including a notebook, laptop and just about everything else. The bottle holds between 750ml to 1.25L of water and comes in three clever sizes: letter, A4, and A5. As an added bonus, the bottles are dishwasher safe, making them reuseable and environmentally friendly.